Arthur Stewart King Scarf was born in Wimbledon in 1913. His father Arthur Samuel King Scarf was from London (Clerkenwell) but his mother Florence Mary Storr was born in Holton le Moor, Lincs and they married in West Rasen. Florence died in Lincoln in 1944. We don’t yet know the connection with Claypole. Arthur married Elizabeth Norah Mary Lunn of Olton, Warwickshire. He joined the RAF in 1936 and after officer training at RAF Cranwell he trained as a pilot. His first posting was with 9 Sqn flying the Heyford. In 1937 he moved to 62 Sqn, which received the Bristol Blenheim in 1938. 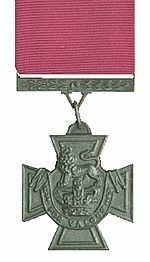 In September 1939, the Squadron was detached to bases in northern Malaya. From July 1941 the Sqn was based at Alor Star near the Thai border and at the outbreak of hostilities in December 1941 it came under heavy air attack. On 9 December it was withdrawn to RAF Butterworth in order to regroup. On 9th December, 1941, all available aircraft from the Royal Air Force Station, Butterworth, Malaya, were ordered to make a daylight attack on the advanced operational base of the Japanese Air Force at Singora, Thailand. From this (base, the enemy fighter squadrons were supporting the landing operations. The aircraft detailed for the sortie were on the point of taking off when the enemy made a combined dive-bombing and low level machine-gun attack on the airfield. All our aircraft were destroyed or damaged with the exception of the Blenheim piloted by Squadron Leader Scarf. This aircraft had become airborne a few seconds before the attack started. Squadron Leader Scarf circled the airfield and witnessed the disaster. It would have been reasonable had he abandoned the projected operation which was intended to be a formation sortie. He decided, however, to press on to Singora in his single aircraft. 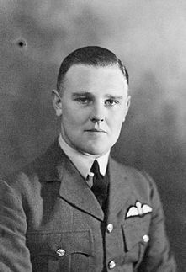 Although he knew that this individual action could not inflict much material damage on the enemy, he, nevertheless, appreciated the moral effect which it would have on the remainder of the squadron, who were helplessly watching their aircraft burning on the ground.